Blair Cariss has had ink running through his veins since he was a little tacker. Cariss Printing has pretty much been around Blair’s whole life and has only continued to grow since he purchased the printing company from his father in 2006. The business has been in the family an impressive 33 years. Blair started out his career in the printing industry the traditional way as an apprentice printer at Cariss Printing. It wasn’t long before Blair wanted to see more of what the printing world had to offer when he headed for Heidelberg , Germany. Heidelberg is the world headquarters for print where the best printing machines are manufactured and then shipped worldwide. When Blair came back to Australia he didn’t return to Cariss Printing straight away, he turned his hand to practicing his new found skills on some of the biggest print and packaging presses around Melbourne, picking up valuable business experience and contacts along the way. 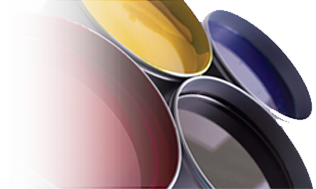 Blair, with this extensive printing background and hands on experience, brings expert knowledge of the printing process and with it the highest standards of quality control. Blair can pick a cheap and nasty print job a mile off and you will never receive anything less than the best quality from Cariss Printing. These days Blair is off the press and spends most of his time meeting with clients and prospects to help them determine the best print solutions for their business.